On Sunday, I used a new single chain ring. 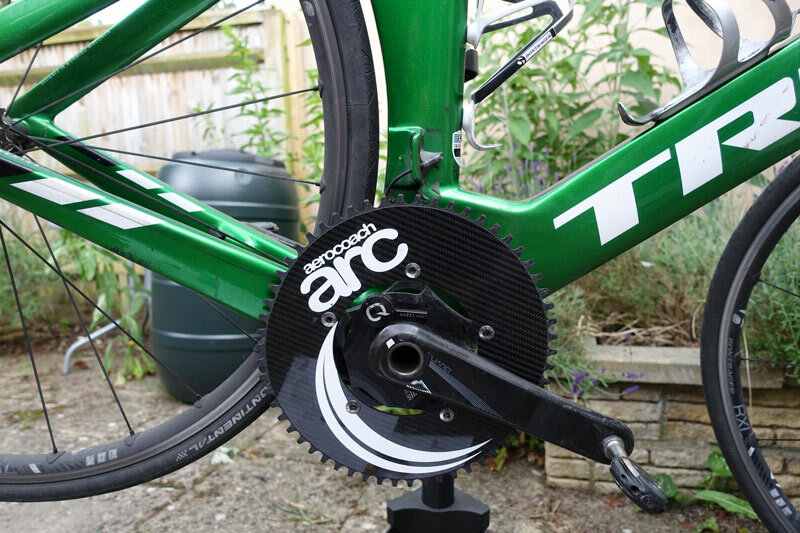 The Aerocoach Arc single chainring. I explained in ‘converting to single chainring‘ the advantages of removing front derailleur, and inner chainring. For most time trials you only need one chainring, and it looks smoother. This is specifically used for single ring use and the teeth are longer than normal to prevent chain slip. I don’t know if it is possible to slip the chain, but from my experience this year, I’ve had more chain slips using front derailleur and 39/56 chainring combination than with just single chainring without any front derailleur. At the moment, there are only 54 and 58 chainrings. Usually, I use 56, but was happy to upgrade to a 58 as 56*11 isn’t the best chainline. 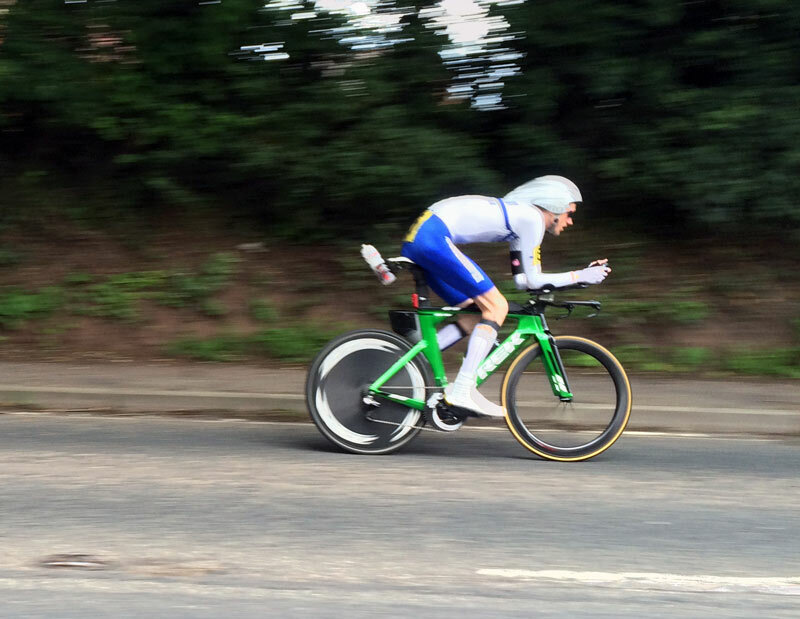 For a 12 hour TT, I would have been better off with 54, but I got around OK on the 58. I didn’t notice much difference in pedal stroke or pedalling with new chainring shape, but then the 12 hour was different to my typical ride. If I remember correctly, it cost £150, so not cheap. But, feels a good piece of equipment. I have no means of testing wattage claims. 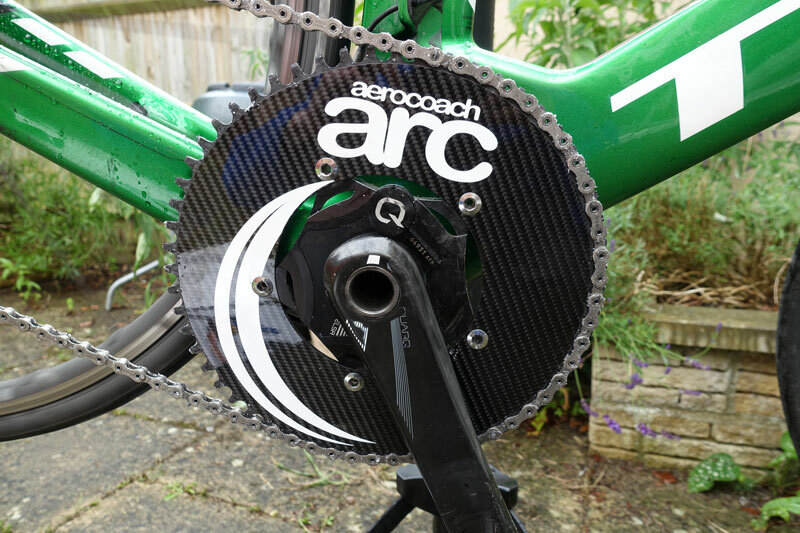 Aerocoach Arc – in stock late July. Hi I didn’t use spacers. Chain length I just guessed it would be similar to previous chain, so I just duplicated length of last chain used.